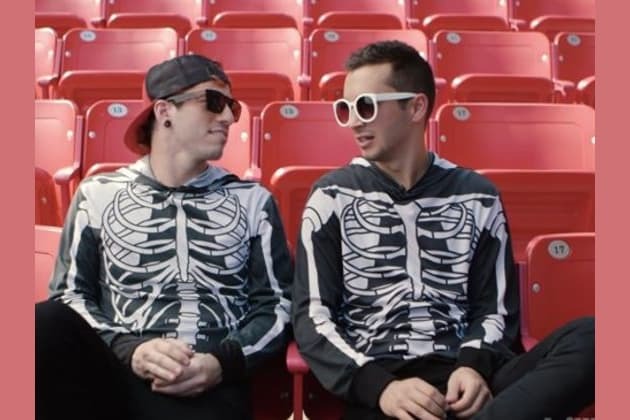 Which Twenty One Pilots Character Are You? You see an innocent puppy on the street. What do you do? Run away, and don't touch it! What is your favorite Twenty One Pilots song of the following? Car Radio - I stole it btw. Don't talk to me I'm texting. Listening to the Emo Trinity. Visiting the local shelter and playing with the kitties. Hangin' out with the homies. Which color best represents yourself? Red. I mean, it kind of scares me, though. Black - like my soul. Animals scare me. Even you. If I made this, it would've been better. Just saying. Are you SpøøkyJim, Blurryface, Josh's Anxiety, Tyler's Ukulele, or Mr. Misty-Eyed?